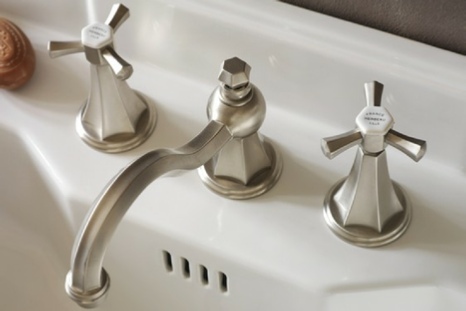 and high arch spout, the new ‘Lille’ widespread faucet is as comfortable to use as it is cosmopolitan. Available in fifteen metal finishes. Shown in French Weathered Brass (47). 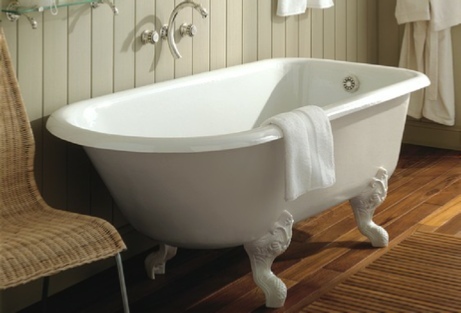 In 1857, Louis Herbeau began creating beautiful baths for the great houses of the day. 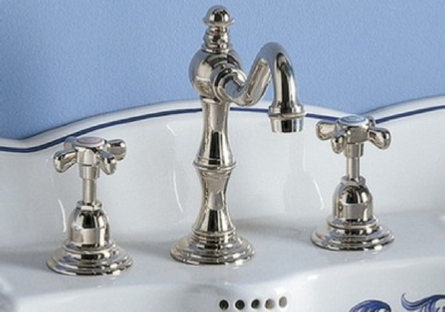 This era of gracious elegance can be seen in the Bathroom Couture® line with its period detailing and Old World charm. While times have changed, Herbeau artisans still fabricate each item according to the traditions of five generations of Herbeau family history. 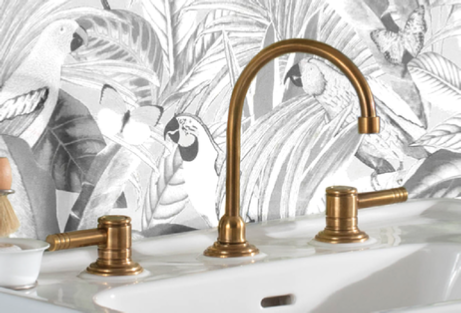 The Monarque collection was directly inspired by the original French Art Moderne movement of the 1920’s. With its emphasis on sleek, geometric shapes, streamlined luxury and meticulous hand-detailing, the Monarque celebrates an era of style, glamour and elegance. While Louis XV ruled France, his mistress Madame Pompadour reigned over Versailles as the arbiter of elegance. The finely chiseled shapes and noble finishes of the Pompadour line pay tribute to her beauty, grace and impeccable taste. The gargoyles are reminiscent of the lavishly decorated water spouts of Versailles, where they were used to evacuate rainwater. 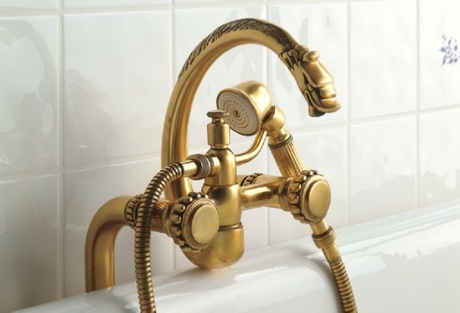 Designed by M. Desiree Herbeau during the early 1900's, the Royale collection captures the excitement of times past; when Picasso and Chagall were painting in Montmarte, the Eiffel Tower was new, and the Paris Metro first opened to the public. As elegant now as it was then, the Royale is proof that a classic never goes out of style.